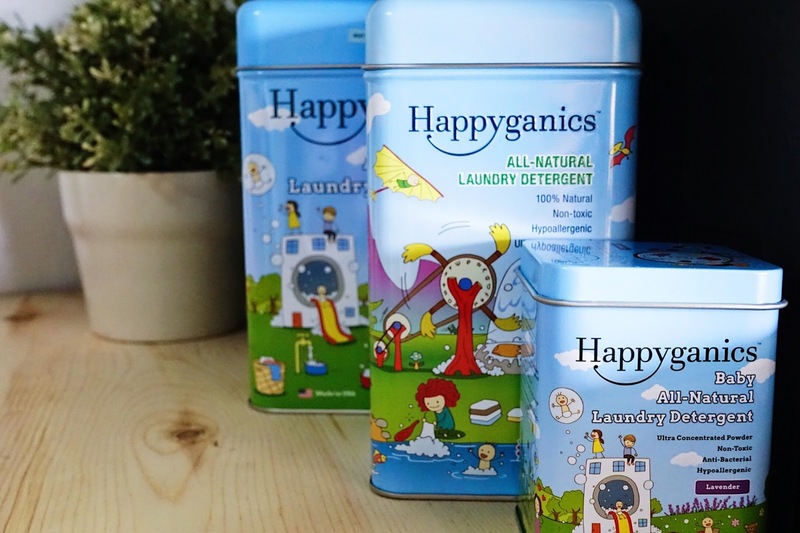 Happyganics was founded 2015 in Singapore, by parents passionate in natural products that are safe for children. Their mission is to provide safe, reliable and natural products that bring happiness to everyone in the world. Their products are designed in Singapore and made in USA using pure plant-based ingredients. They do not contain any harmful chemicals and are safe for babies and the whole family. They are currently present in markets including China, Hong Kong, Indonesia, Malaysia, Philippines, Singapore and Taiwan. *Specially formulated to work well on cloth diapers, baby clothes, covers & rag dolls. Great for adult laundry too. is a natural mild soap cleaner that cleans the toughest dirt and grease, yet gentle on your hands. 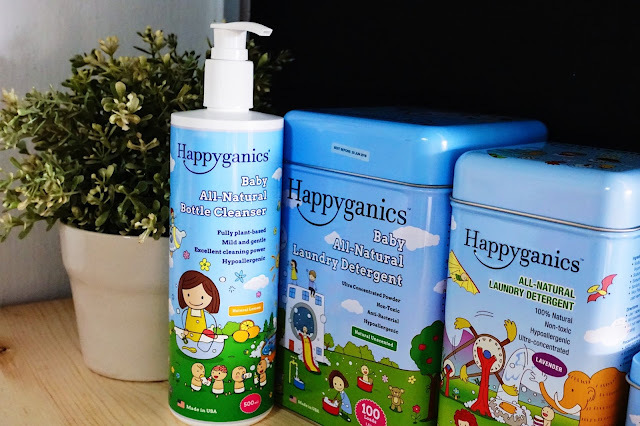 It is hypo-allergenic with no synthetic fragrances, safe for babies and does not contain petrochemical based ingredients, SLS (Sodium Laureth Sulfate) or any other foaming agents. It is specially formulated for low sudsing and fast rinsing, leaving no residues. It biodegrades quickly and is safe on plumbing and the natural environment. There are no animal byproducts or animal testing and is cruelty free.